You have probably seen those ads online advertising a service that will scan your computer for free and magically clean your computer as well as make it 20 times faster. Well, those websites will scan your computer, which is true, however, the majority of them will charge a large fee to get rid of all of the errors found in the scan. In addition, a lot of them are fake and will actually install more malware and spyware onto your computer. Basically, though, the services use a simple antivirus scanner/remover. There is far better software out there that is available to you for free. By following the tips in this article, you should be able to remove most types of virus, spyware, or malware from your computer. Obviously, not all malware is created equal and some items are far harder to remove than others. In those types of instances, you best option is to perform a clean install, which is the only sure-fire way to ensure that all remnants of the infection are gone. There are thousands of different programs out there in the spyware/virus removal category, many of which are free. The thing to remember is that different virus removal programs will bring different results and none of them are 100% completely accurate. For example, you can scan your computer with one virus removal program, remove the viruses and then turn around a scan your computer with a different program, which will catch even more viruses that the first program didn’t pick up. So the best thing to do when you have a nasty infection with multiple viruses, malware or spyware on your system is to run multiple programs. However, a lot of these newer viruses are smart and prevent you from running anti-virus or anti-malware tools inside Windows. In order to get around this, you have to either scan the system before the operating system boots up or you have to get Windows into Safe Mode and start the scanning process there. Once you are in Safe Mode, you need to run several scanning programs one after the other until no more instances of infection are found. So which programs should you choose to run? You should run SUPERAnti-Spyware first, then MalwareBytes Anti-Malware followed by Spybot and Ad-Adware. Of course, you’ll need an Internet connection for this, so make sure that you enable Safe Mode with Networking. 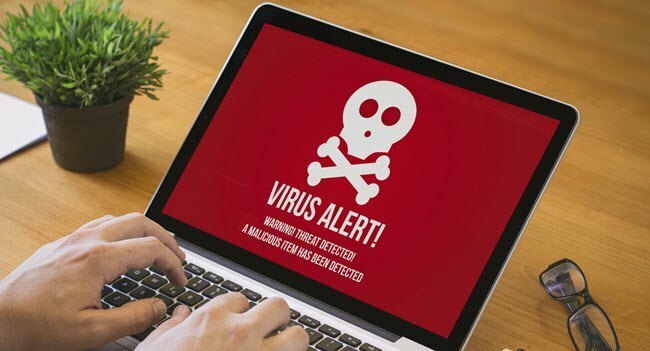 If you have a really smart virus, it will even disable your Internet connection by changing settings in Windows in which case you should contact us to help you. ​In addition to the Safe Mode method, you should also scan your computer before Windows even has a chance to boot up. You can do this by using an offline virus scanner or pre-boot scanner. The way this works is that you will have to use another computer to download an ISO image file from an anti-virus company like Microsoft or Kaspersky and then burn it onto a disc. You will then boot to this disc instead of your normal Windows install and run the anti-virus software from there. Since Windows is not running, the infection can’t interfere and you have a much better chance of being able to remove it. This method is really the only way to get rid of a really nasty virus or malware infection via scanning. There are a couple of rescue disks that I recommend using. The first one is from Microsoft and is called Windows Defender Offline. Note that some of these allow you to download an EXE file and install the files onto a USB stick, which you can then boot up from instead of a CD/DVD. As mentioned, this is a bit more technical, but all the sites have guides on how to create the disks and then use them. A clean install is not the most fun thing to do, however, it is the one guaranteed way to get rid of viruses, spyware, and malware. It’s pretty straight-forward: when you do a clean install, you delete everything on your hard drive. Therefore, no more viruses. Some of the time, viruses will not infect items like pictures, text documents, videos, or MP3 files. A good thing to do is to scan all your personal data and if there are no viruses found, copy that to an external drive. In this way, you can perform a clean install and not lose anything important. Obviously, you’ll have to reinstall all your programs, etc., but sometimes you have no other choice. Performing a clean install is not at all as hard as it may seem, it’s just time consuming because you have to wait for Windows to install. Also, with Windows 8 and Windows 10, the process is even easier because you don’t even need to have your installation CD/DVD anymore. As long as you have your original product key or in the case of Windows 10, as long as it’s the same computer you had Windows 10 installed on before, you can just boot up from the USB stick and reinstall Windows. 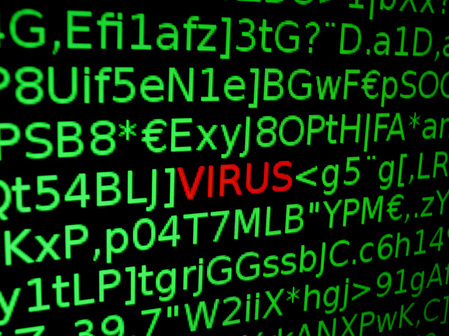 NEED HELP WITH YOUR VIRUSES?